When considering the question – “How does one achieve extraordinary health or even maintain basic health?” – we tend to look at things from a completely different perspective than most. This is likely because we spent 7 years traveling around the world, visiting more than 135 countries, on a global expedition we called The Calton Project, trying to find the answer to this exact question. Most doctors, researchers and nutritionists tend to focus on specific aspects of this question. For example, a diabetes specialist may focus on how to control blood sugar levels, while a microbiome specialist focuses on gut bacteria. For us, the question has always been broader. Our goal was to observe cultures around the globe, both urban and remote, to discover for ourselves how different nutritional philosophies, ranging from high fat to high carb and everything in between, as well as different lifestyle habits affect overall health. Was there a single root cause of disease and if so what was it? It is our experience that most health professionals tend to blame an individuals diet for making them sick. They are caught up in something we refer to as the “macronutrient wars.” Too much meat or dairy, they say, or not enough plant based foods. They fight and argue amongst themselves about whether a low carb or Paleo diet is better than a low fat or Vegan diet, whether you should eat more protein or less protein, whether you should eat frequently or fast intermittently, whether or not calories matter, and even if we should all be choosing the foods we eat based on our blood type. When we hear these debates at conferences or dinner parties we have to bite our tongues. 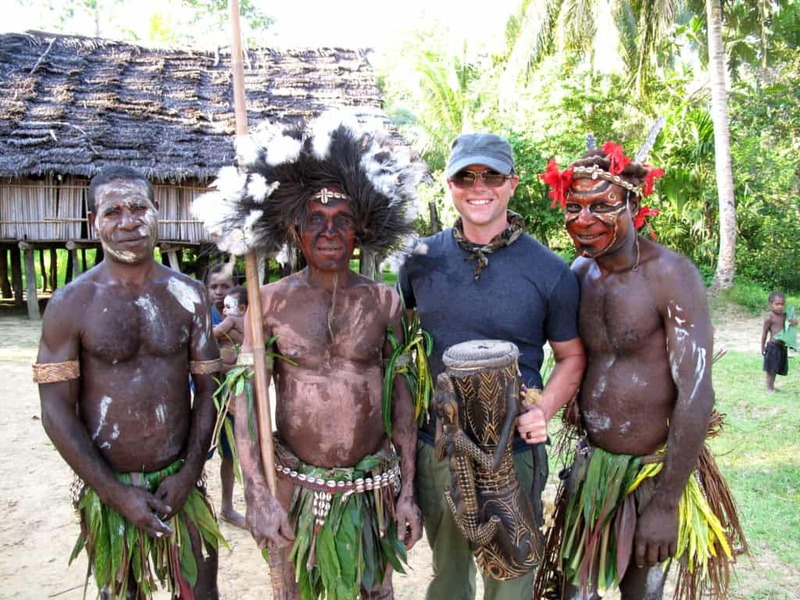 This is because unlike many of the people who are involved in these conversations, we have had the opportunity to visit remote communities that ate few to no carbs, and others where potatoes and rice were staples. We have stayed in villages that were lucky enough to be situated next to water that supplied them with copious quantities of fish for protein, and others where they ate protein only on rare occasions, feasting when it became available. There was a purity of health to be found in all of these remote communities and we feel extremely fortunate that we have had the opportunity to observe them first hand. These global travels have taught us something that these other health professionals have yet to discover, and that is, that all dietary styles, regardless of macronutrient quantity or ratio, are capable of creating health as well as causing disease. Wellness is not as easy as simply eating like a caveman or filling our plates with plant based foods, and it cannot be achieved through the number of calories you eat or the frequency of the food you ingest. Instead, our research points to the fact that the catalyst of this change from health to illness is something completely different to what they are all arguing about – it is our belief that the bodies ability to achieve and maintain wellness is rooted in something we call micronutrient sufficiency. Micronutrient sufficiency is the act of ingesting, either through diet or supplementation, the required amount of essential vitamins, minerals, amino acids and fatty acids needed to maintain basic health. When even one of these essential micronutrients becomes deficient, we believe that the body becomes susceptible to poor health and eventually disease. What we have come to learn, is that the diet you choose, the number of calories you eat, and whether you have type O or type B blood really are not the most important factors in determining your overall health. In fact, we always say that putting your dietary preferences before micronutrient sufficiency is like putting the proverbial cart before the horse. The fact is, science has proven that deficiencies in specific micronutrients lead to specific health conditions and diseases. Take osteoporosis, for example; it comes from being deficient in a very specific list of vitamins and minerals that everyone must have to build and maintain strong bones. So, if an individual was following a Paleo diet and was deficient in the bone-building essential micronutrients calcium, magnesium, and vitamins D and K, that person would be at risk for developing osteoporosis. Similarly, if a completely different individual adhered to a Vegan diet and was deficient in the same bone-building micronutrients, that person would also be opening the door to osteoporosis. The fact that they have different dietary philosophies is completely irrelevant. Their risk of getting osteoporosis comes from their deficiency in their essential micronutrients. The bottom line is, what we first discovered through our journey around the world, and later published in the Journal of the International Society of Sports Nutrition is that no specific dietary philosophy can protect you from micronutrient deficiency, in and of itself. If you are deficient in any of the essential micronutrients, regardless of your dietary profile, you are at risk of contracting a micronutrient deficiency health condition or disease. So it makes no sense to have your dietary philosophy be the basis of your nutritional philosophy. But if you turn the nutritional equation around and make micronutrient sufficiency your main dietary objective, then everything changes. By recognizing the importance of micronutrient sufficiency you are putting the proverbial horse (micronutrient sufficiency) in front of the proverbial cart (dietary philosophy), where it belongs. This allows you to shut the door on micronutrient deficiency based health conditions and diseases, while enjoying any type of diet your heart desires. This completely different perspective on micronutrient sufficiency should be music to your ears. This means that if you choose to take this unique perspective on nutrition to heart, that you can work to regulate your blood sugar, support cardiovascular function, build strong bones, and create healthy hormone levels all at once by simply achieving micronutrient sufficiency. You don’t have to read 10 different books to find solutions to multiple health issues. Instead by becoming micronutrient sufficient you can create a healing environment within your body that can help you to relieve or eliminate all of your health issues – holistically. We always say that micronutrient sufficiency is like the foundation of a building. If it isn’t strong the building will start to breakdown and will eventually fall. The same is true for your body. A body built on a strong, micronutrient sufficient foundation will thrive. However, a body built on a weak foundation, or one that is deficient in it’s essential micronutrients, will eventually experience ill health and if left for a prolonged period of time, a disease. This is why we feel so passionately about teaching you how to use micronutrient therapy to achieve sufficiency in your essential vitamins, minerals, amino acids and fatty acids. 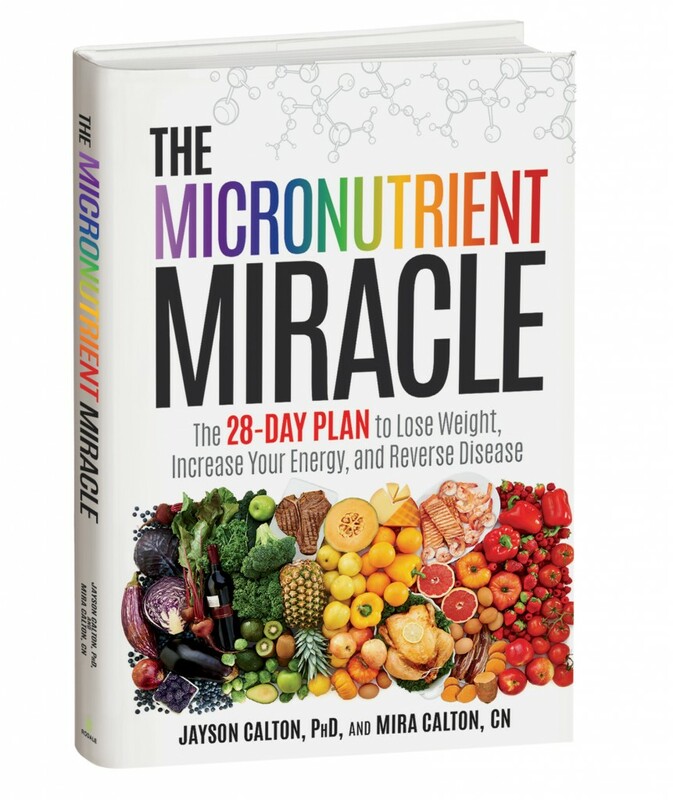 If you are tired of trying fad diets and random quick fixes only to realize that the problem you were trying to fix is the same or worse, we invite you to start your journey to extraordinary health by reading our latest book The Micronutrient Miracle. Not only will it give you the basics you need to start creating a micronutrient sufficient environment right away, but it will also give you step-by-step condition specific 28-day programs that you easily implement into your busy lifestyle. There is an answer to the question of “What is causing my body to experience poor health?” It has been our experience, that for the great majority of people, the answer to this question is micronutrient deficiency. What have you got to lose? Grab a copy of The Micronutrient Miracle today and join us, on perhaps one of the most important journeys of your life – your journey to a state of micronutrient sufficiency and eventually extraordinary health!